The second generation model is expected to have improved off-road capability. Hat tip to automotive enthusiast Parikshith Mithran from 4x4 India Facebook Group for sharing the exclusive spy shots. 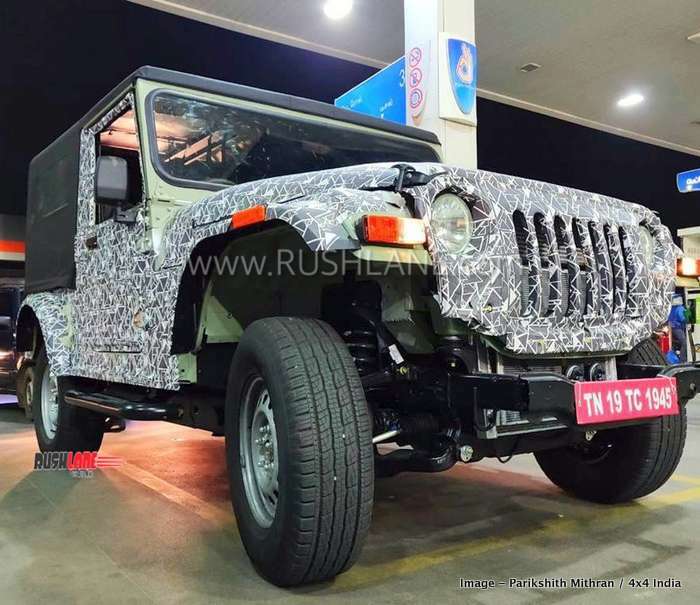 The new Mahindra Thar was spotted for the first time a few days ago. 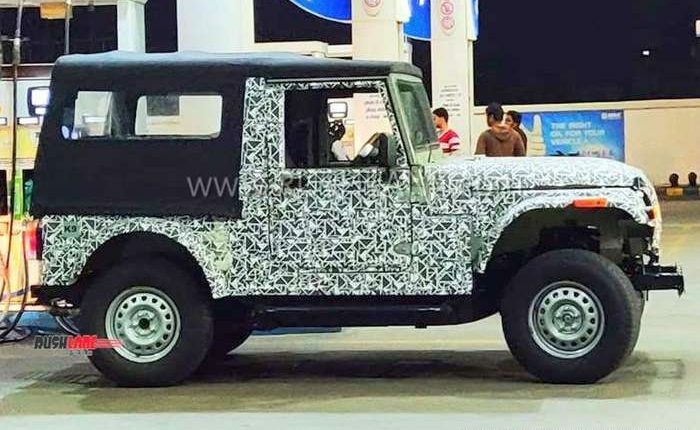 First pictures confirmed that the second iteration of the off-roader will get significantly wider. 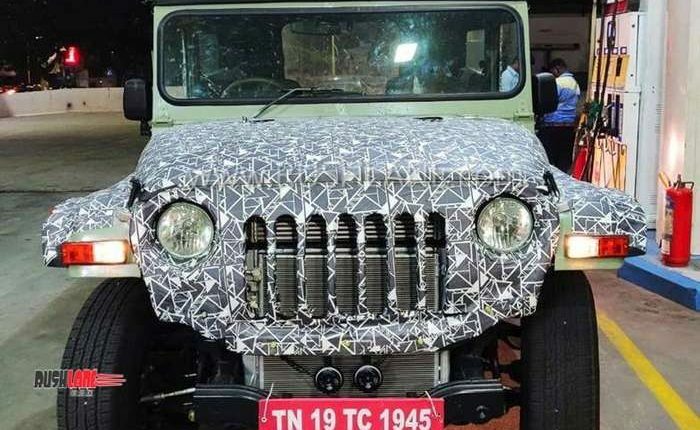 New spy shots of a camouflaged prototype have emerged, giving us a fairly good idea about the next generation Thar’s overall design. 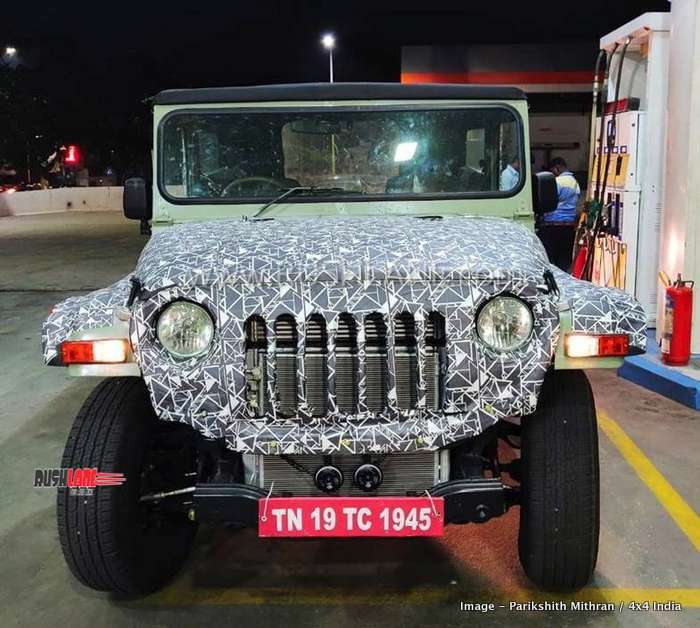 As expected, the salient design elements like the instantly recognizable seven-slot grille, circular headlamps, and a boxy cabin with a tarpaulin roof have been retained. However, the increase in width is instantly noticeable. Adding to the sense of width are the flared wheel arches. The front wheel arches on the prototype are mounted much higher than the ones on the current model. This could indicate a longer front suspension travel on the next gen Thar or it could simply be pushed up to facilitate better wheel articulation. The ground clearance too appears to have increased. Given that the new safety regulations are set to come into place in the coming months, we expect the next generation Thar to be based on a new sturdier platform which would pass the mandatory tests. Dual airbags and ABS will be offered as standard fitments. The new regulations would also mean a BS-VI compliant diesel engine. It’s a bit too early to speculate about the displacement of the new oil burner that will power the upcoming off-roader. The fully loaded variants will sport 4×4 drive system with lockable differential and low-range transfer case. 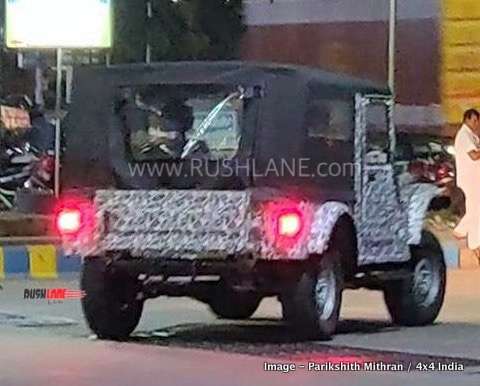 The new Mahindra Thar would be featuring a significantly improved dashboard, even though the test mule carries a similar setup as current Thar. We have to keep in mind that these are the first test mules, and not the final product. 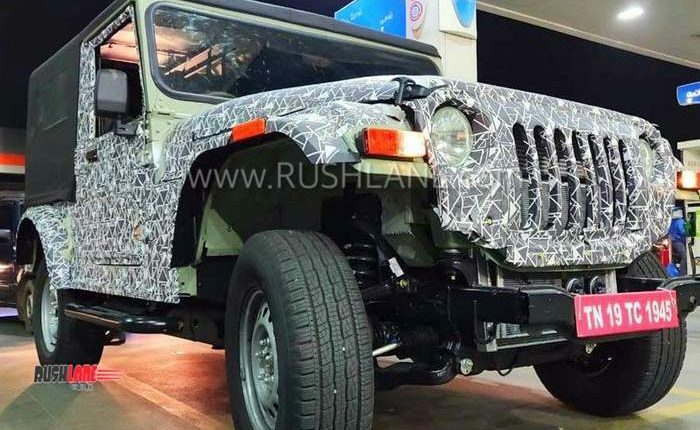 The production spec 2019 Thar will be far different than the test mule, as far as features like headlight, grille, dashboard, taillight, etc are concerned. We also expect the SUV to offer better overall comfort (at least for the driver and front passenger). 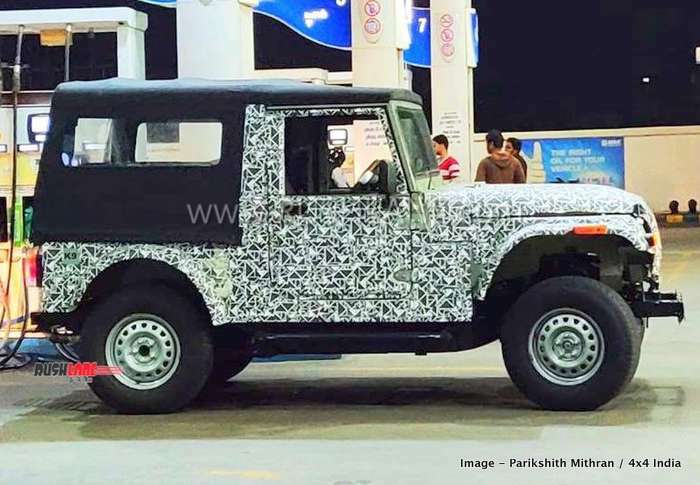 It is unclear if Mahindra will come up with a hardtop version of the new Thar featuring traditional 5-seat layout. We think such a variant would go a long way in attracting enthusiasts who also want to use their off-roaders as family haulers. Considering the width, it is possible that Mahindra launches a longer wheelbase option with four doors.